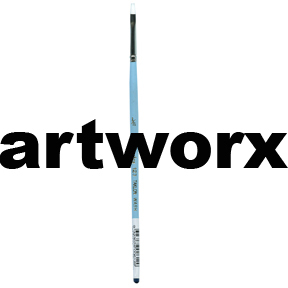 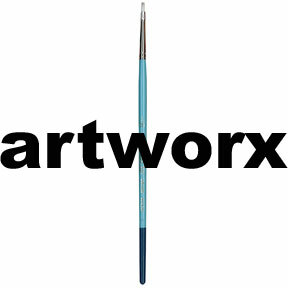 Art Basic brushes are pretty much your standard economic art and craft paint brushes. 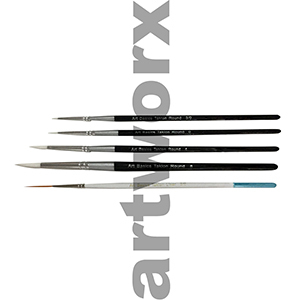 Used by both professional artists and students Art Basics paint brushes are affordable and one of the best mid range paint brushes available in the art supplies market. 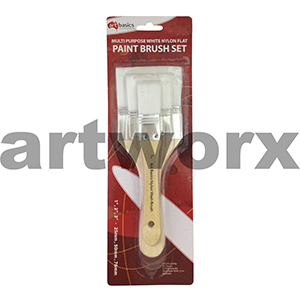 With a wide selection of brushes to choose from there is a paint brush for just about every application you can think of. 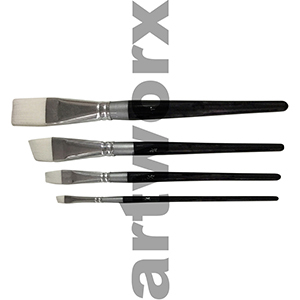 Part of their range includes, goat hair hake brushes, deerfoot paintbrushes, liner brushes, stippling brushes, short hair wash brushes and a range of other assorted brushes including the popular needle point squirrel brush. 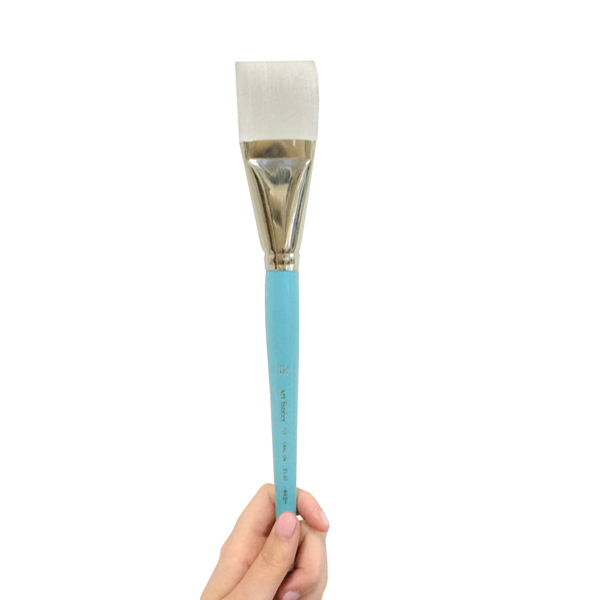 Can anyone possible say what the best paint brushes are? 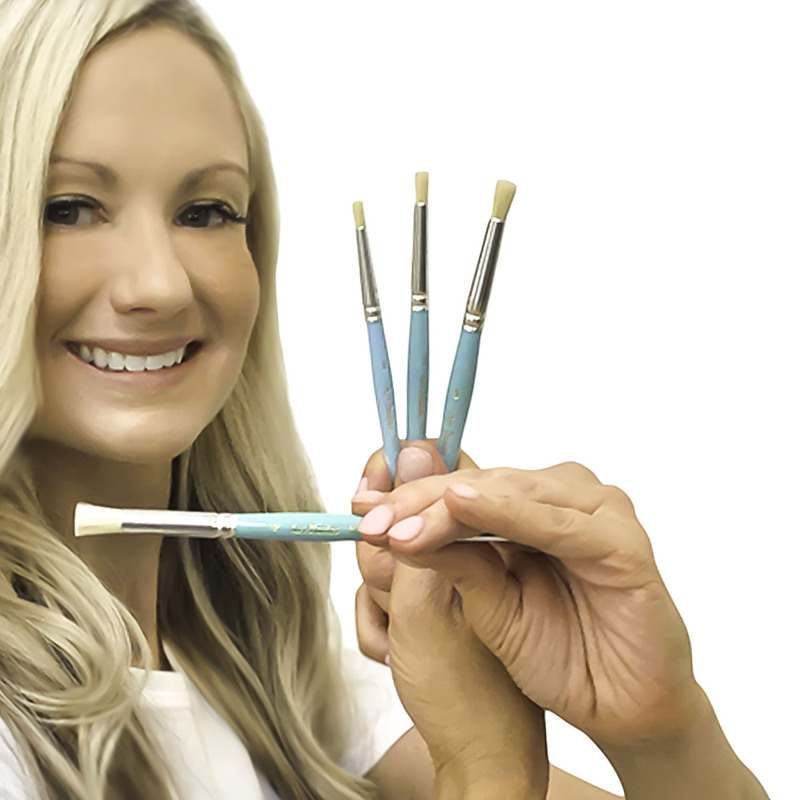 With over a decade of experience in the art supplies market we don’t like to pigeon hole the best of anything. 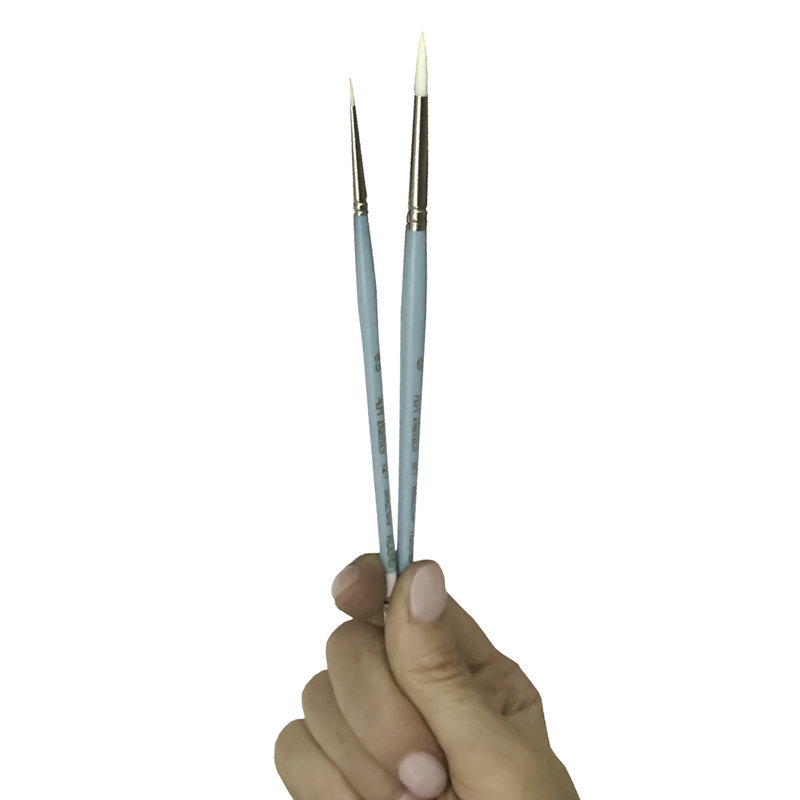 Most artists and crafts love to bend the rules. 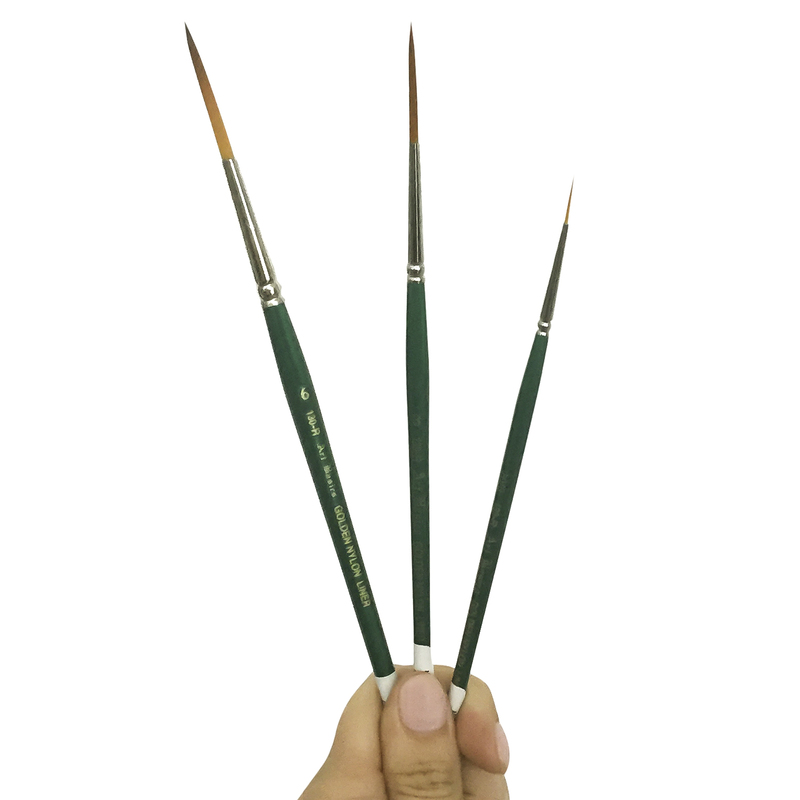 Finding the best paint brush for your artistic expression is very much a personal thing; how it works with your medium/s and style. 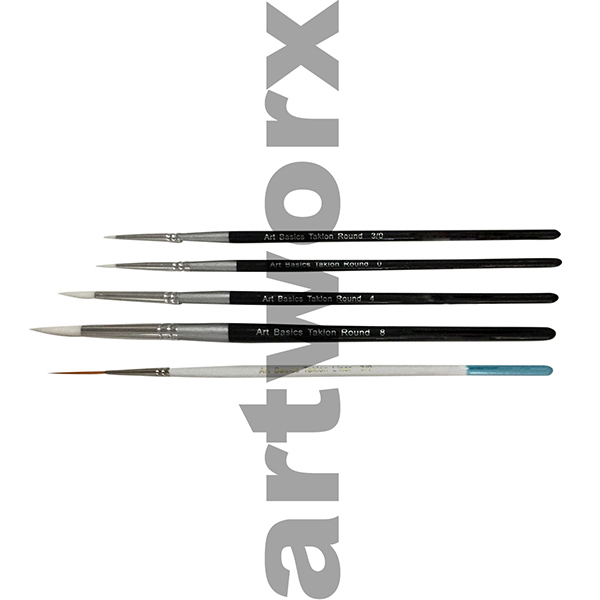 Here is a quick run down on the above brushes, if you would like to know a little bit more select the specific brush link. 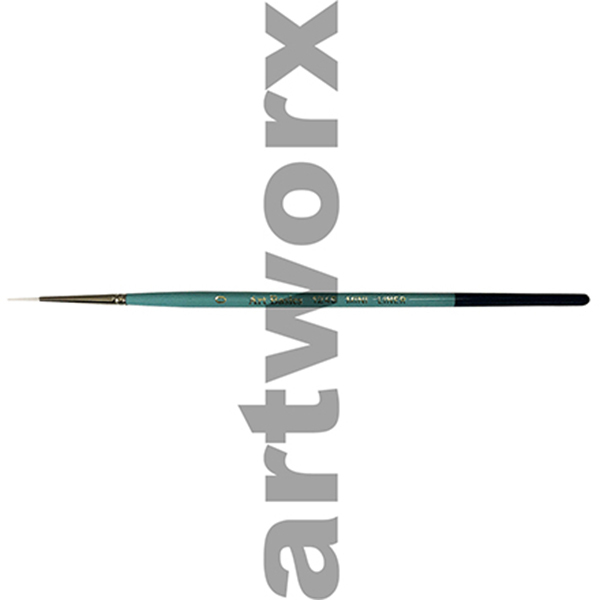 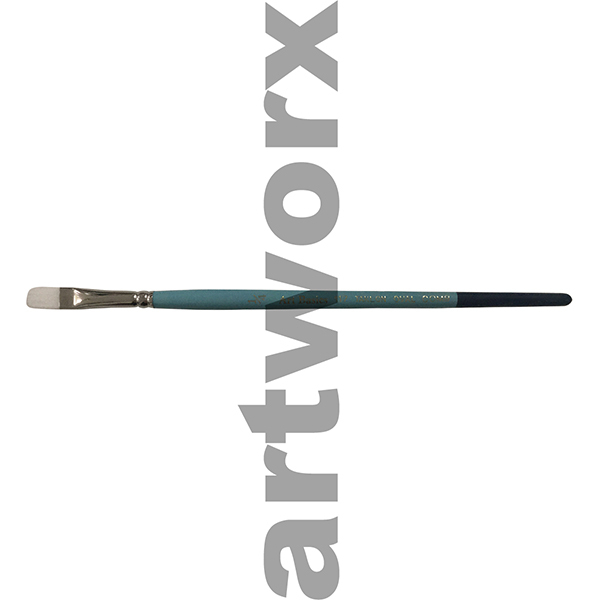 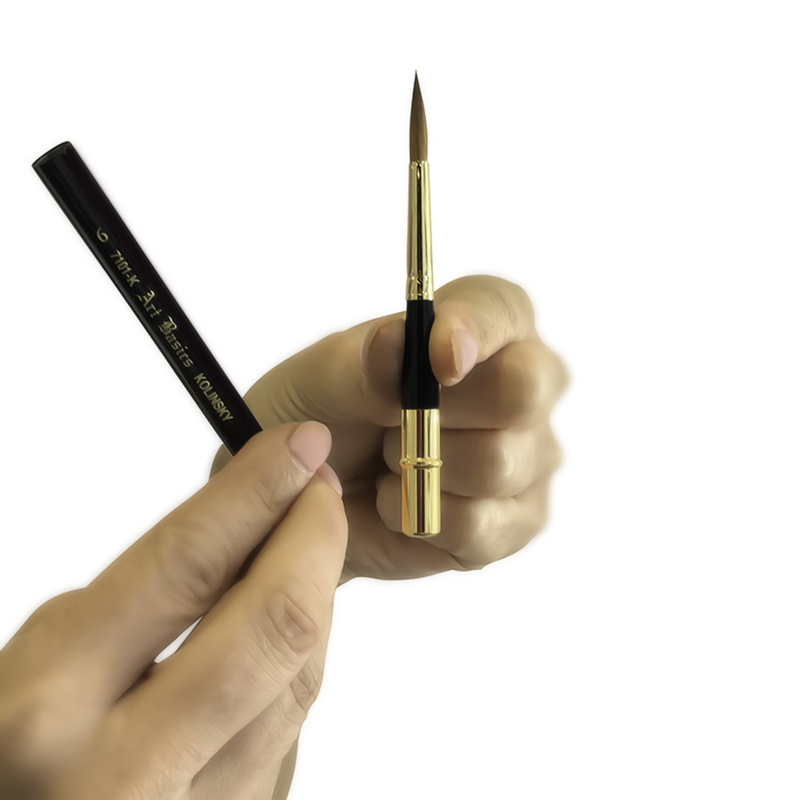 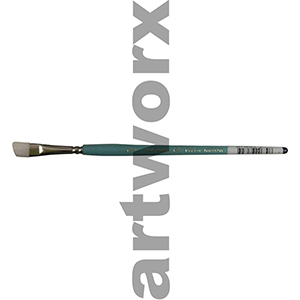 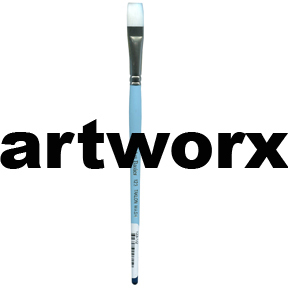 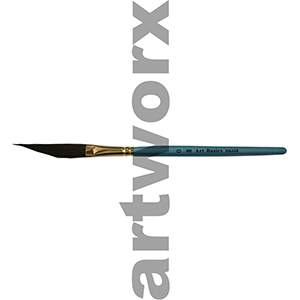 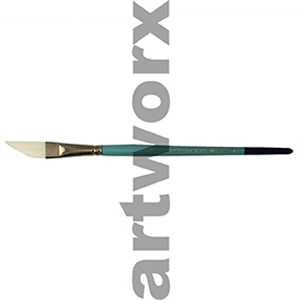 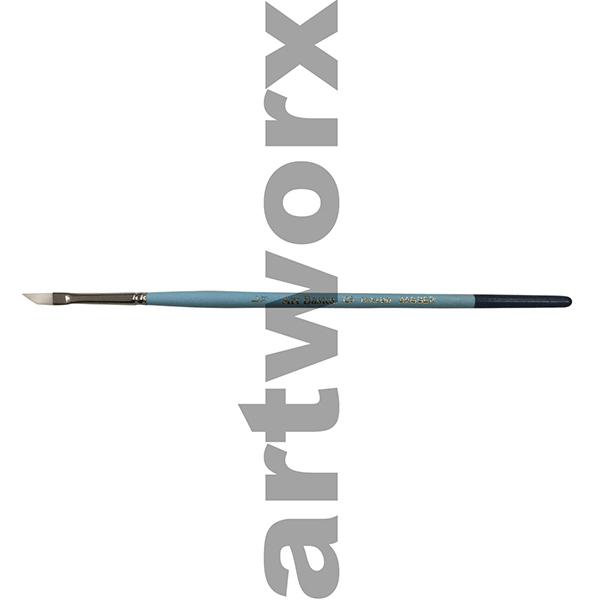 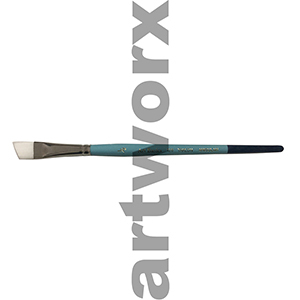 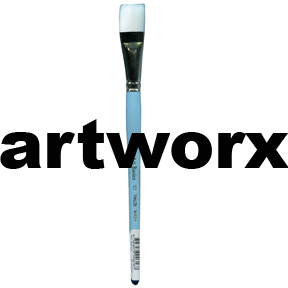 The Art Basics goat hair hake brush is luxuriously soft, designed to hold large amounts of liquid; the ideal brush for watercolour paints, silk paints, glazing, anything that needs to flow onto the working surface. 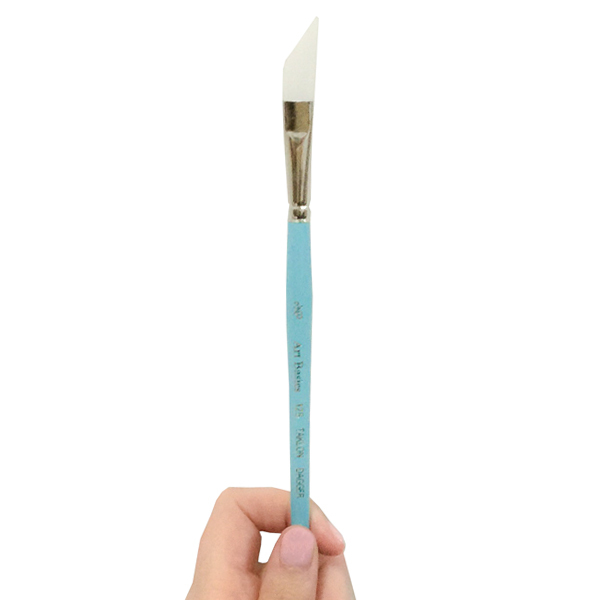 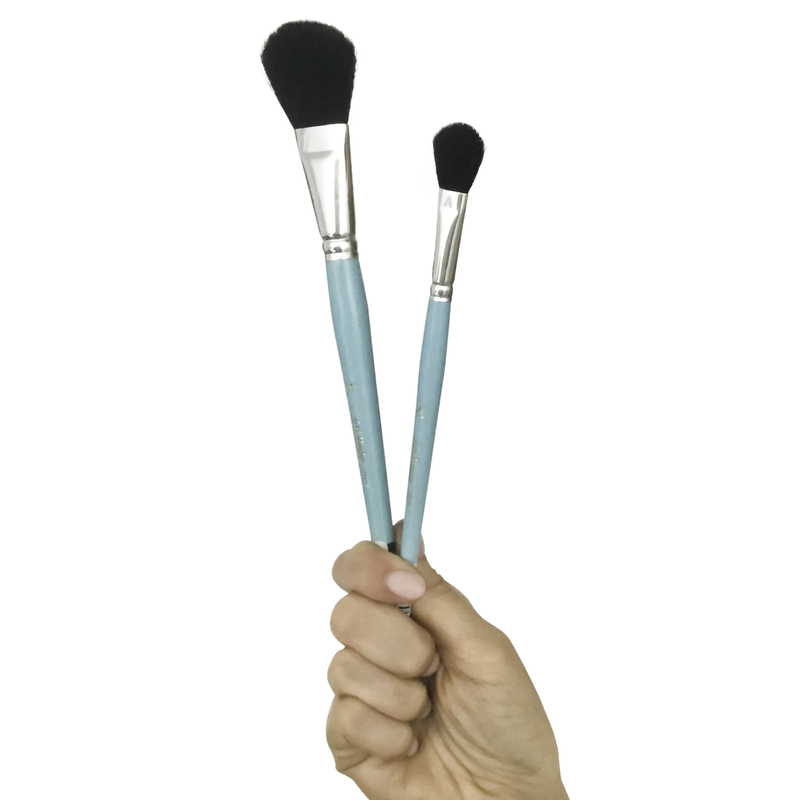 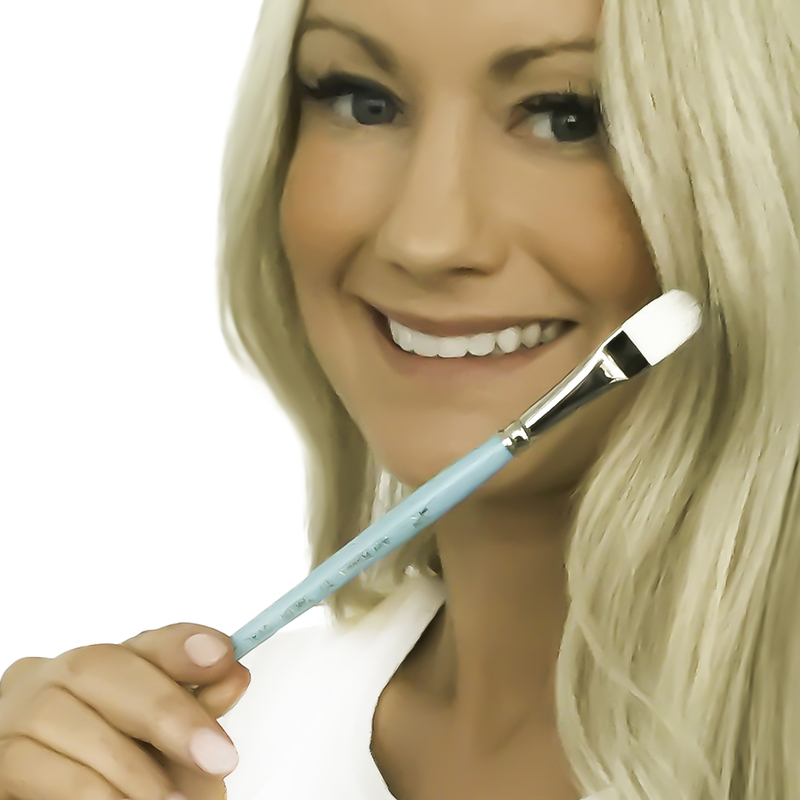 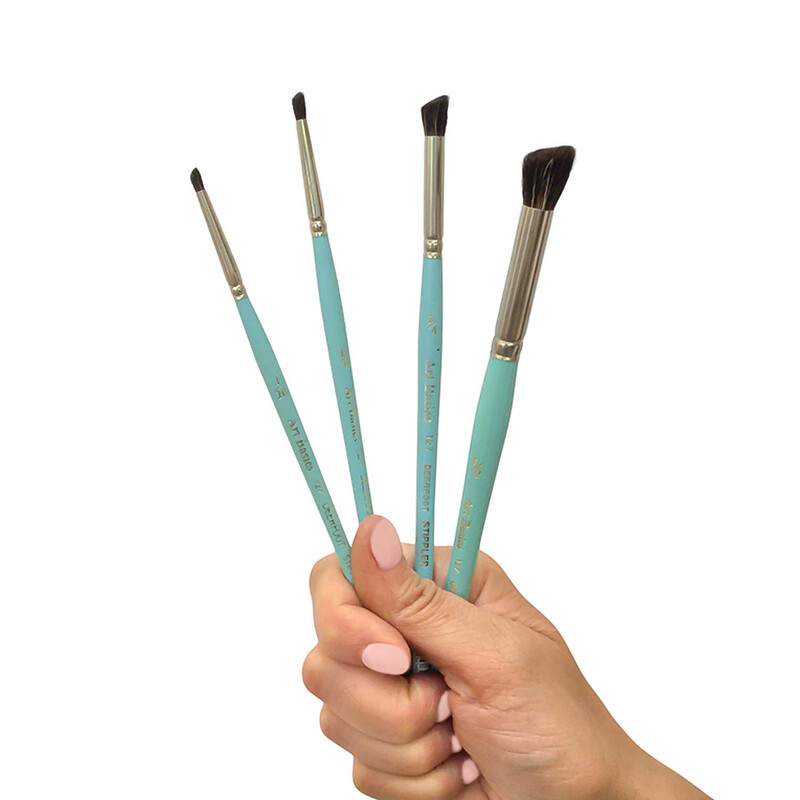 The Art Basics white taklon short hair wash brush has a unique aqua handle it is suited to a wide range of mediums, great for acrylic paint, watercolour and oil highlights or anything mixed media. 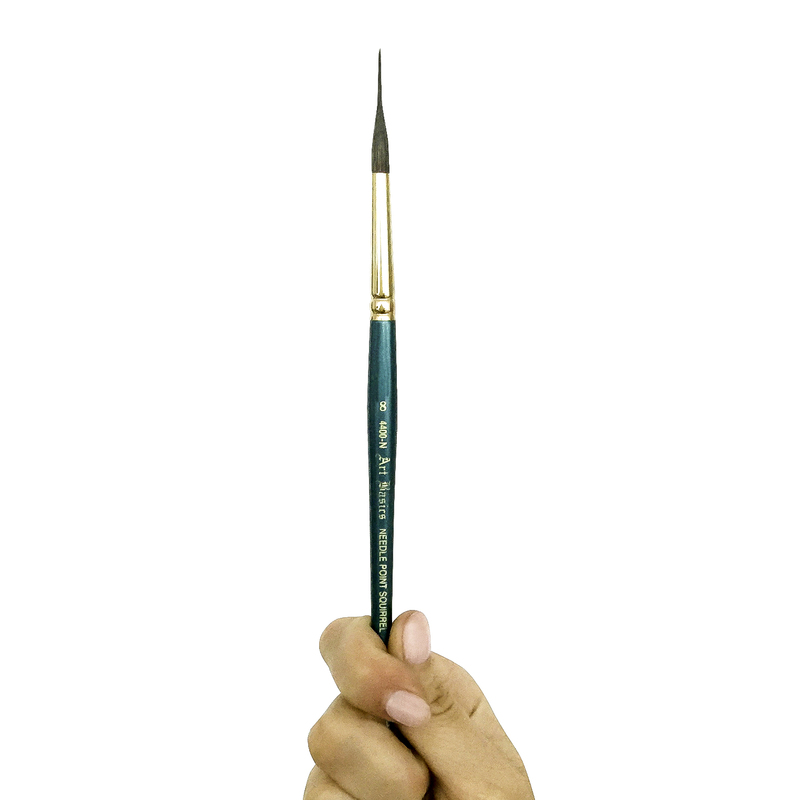 The Art Basics deer foot paintbrush is very stiff and the hairs have been cut on an angle. 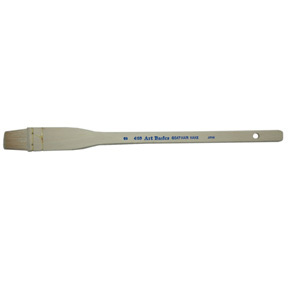 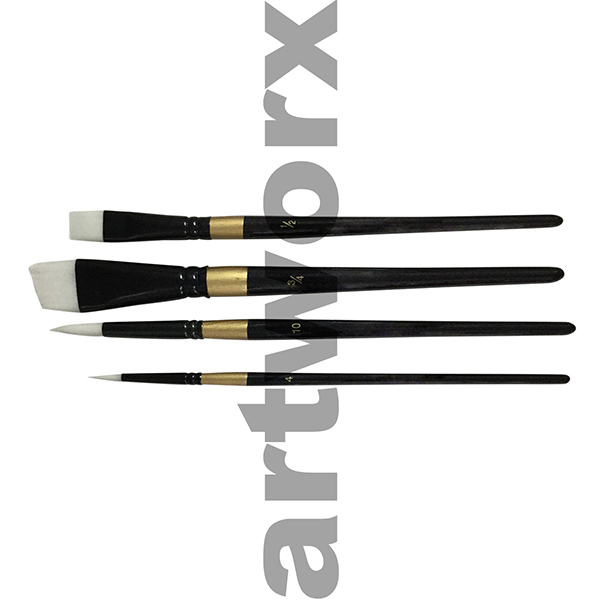 This short handle brush is made of badger hair and is a favourite among ceramic and mixed media artists; it is the perfect brush for dry shading of pastels, stencil work and scumbling. The stencil brush by Art Basics is another stiff brush, this one is made of hog hair and has a short handle; a multi purpose brush that is perfect for stenciling. 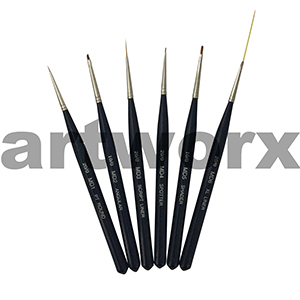 The Art basics liner brushes come in two ranges, one has long hairs and the other has short; both are made of white taklon. These brushes are great for creating fine lines in detail work. 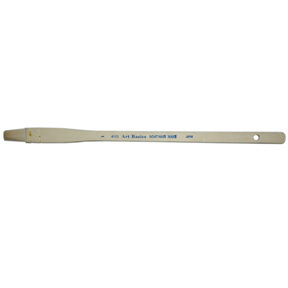 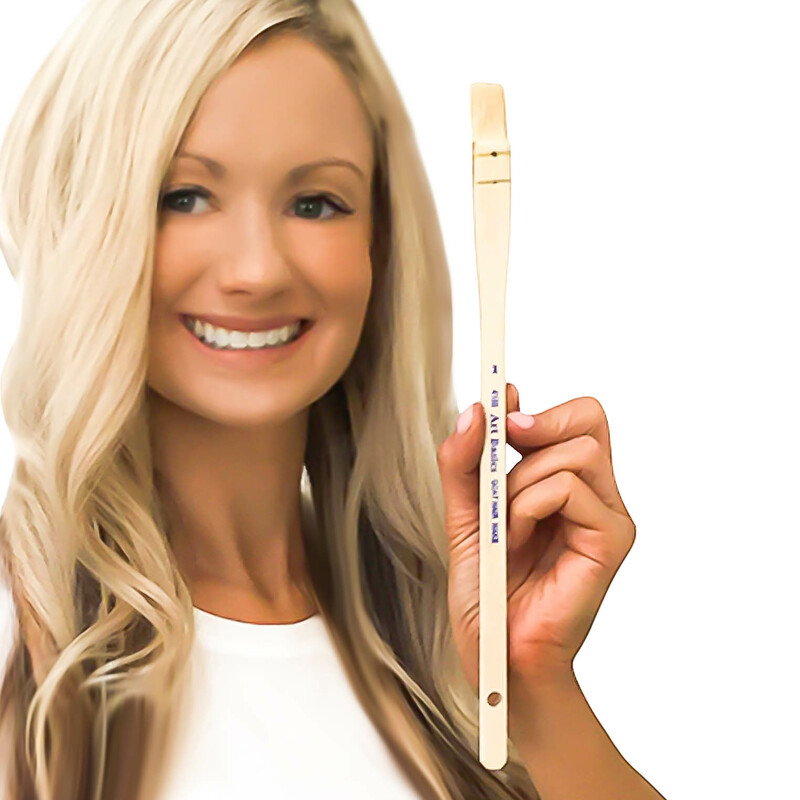 If you are looking for a good quality art paint brush that won’t lose its hairs and is an affordable price then the Art Basics brush is one of the best paintbrushes when it comes to art supplies. 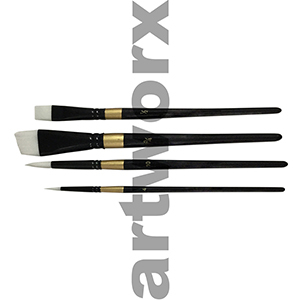 Because their range is quite extensive; blending brushes, dagger brush, any paintbrush questions give us a bell. As a team of artists, designers and crafters we will endevour to answer any of your questions and if we don’t know the answer we will find it for you. 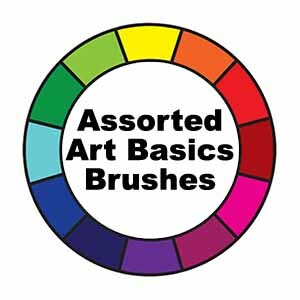 When adding to your art supplies don’t forget to puruse our artist VIP membership for unbeatable prices and up to date information on art classes and workshops with some of Australia’s finest artisians.